Last week, Stuart Cornelius Hackett (b. 1925)—a beloved philosophy professor, friend, and brother in Christ—departed this life to go where all true believers long to be. His mental brilliance, affected in his later years by Alzheimer’s, has been restored, and he is a now a clearer thinker than anytime during earthly days. When I began to study at Trinity Evangelical Divinity School in 1985, my very first class during my first quarter—we didn’t have “semesters” then—was Hackett’s “Religious Epistemology” class. This remarkable course introduced me to rationalism, empiricism, testing truth claims, Kant and the synthetic a priori. My eyes were being opened to the larger world of philosophy, and just a few weeks into the semester I was more than sufficiently inspired to pursue an M.A. degree in philosophy of religion—in addition to my M.Div. degree. I would write my master’s thesis on “The Impossibility of an Infinite Temporal Regress of Events”—an argument Hackett resurrected from medieval Jewish and Muslim philosophy and utilized in his Resurrection of Theism. (Of course, William Craig, also a former student of Hackett’s, has been most closely identified with this theistic proof—now referred to as the kalam cosmological argument.) Hackett’s early influence on my study of philosophy led me to dedicate my 2007 book Loving Wisdom to him. I f the very possibility of a contingent cosmos or world order is fully conceivable only through its dependence on a transcendent realm of essence and directive selection; and if the very notion of an actually infinite series of past temporal states of the temporal universe involves a self-contradiction, whether that universe is construed in mentalistic or materialistic terms; and if the pervasion of the universe by significant order or purposive adaptation is itself best explained through an operation of transcendent self-directive mind through its own operative causality—and these are the very claims that our previous arguments have defended as plausible—then the supposition that selfhood (self-awareness, conceptualization, and self-direction) could not be explained in terms of material constituents, which themselves require explanation on transcendent and essentially immaterial or spiritual grounds, seems questionable indeed (p. 110). All of us philosophy students would gather together at the Hackett home for our regular end-of-the-quarter bash—complete with Sarah Lee sweets accompanied by guitar music by our beloved professor, who would sing self-composed songs such as “Plato, dear Plato, how I love you!” Just before I graduated, someone took a picture of a group of us at his home. When I visited the Hacketts years later in Glen Ellyn, Illinois, I saw this photo underneath the glass top of his desk. His wife Joan told me that it was a reminder for him pray for us, which he did every day. Hackett—or “Big Stu” as he enjoyed being called—taught and inspired not only me, but other philosophers and apologists, including William Lane Craig, Stephen Evans, Jay Wood, Mark McLeod-Harrison, Chad Meister, Mark Linville, Mark Mittelberg, Nicholas Merriwether, and many more. 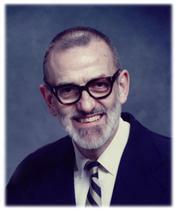 Others influenced by Hackett include the pastor and author John Piper as well as own pastor Dennis Reiter, with whom I worked in Storrs, Connecticut; they, along with many others, benefited from his philosophical teaching while at Wheaton College, where he taught alongside Arthur Holmes before he was at Trinity. Preferring to call himself a “student of philosophy” rather than a “philosopher,” Dr. Hackett wrote several articles for professional journals such as the International Journal for Philosophy of Religion. He also authored four books: Oriental Philosophy, The Resurrection of Theism, The Reconstruction of the Christian Revelation Claim, and The Rediscovery of the Highest Good. Hackett’s Oriental Philosophy (University of Wisconsin Press) is a superb introduction to the topic (Hackett had even gone to India to learn Sanskrit as part of this writing endeavor). The latter three books are rigorous, lucid texts covering epistemology, apologetics, philosophy of religion, and ethics. They are currently available through Wipf and Stock, and I would encourage you to explore these writings of a noteworthy philosopher from a previous generation. In addition, I should mention a Festschrift in Hackett’s honor was published in 1990, The Logic of Rational Theism (Edwin Mellen Press), coedited by William Lane Craig and Mark McLeod. Hackett offered a response to these essays, which can be found at The Interactive Hackett—a website that Tim Cole, a former classmate and Hackett student, has maintained and updated over the years.